Daniel, Somersworth PT's Owner/Manager is a graduate of Franklin Pierce earning his Doctorate in Physical Therapy in 2009. Daniel chose to become a Physical Therapist while pursuing his undergraduate degree in Biology at the University of New Hampshire where he realized a passion for sports medicine. During his Doctorate Studies, Daniel worked with patients throughout the seacoast area focusing on individuals recovering from total joint replacements, orthopedic injuries, spinal injuries as well as chronic and acute conditions. Daniel opened Somersworth PT to create a collaborative approached environment to allow patients to receive the most up to date treatment. 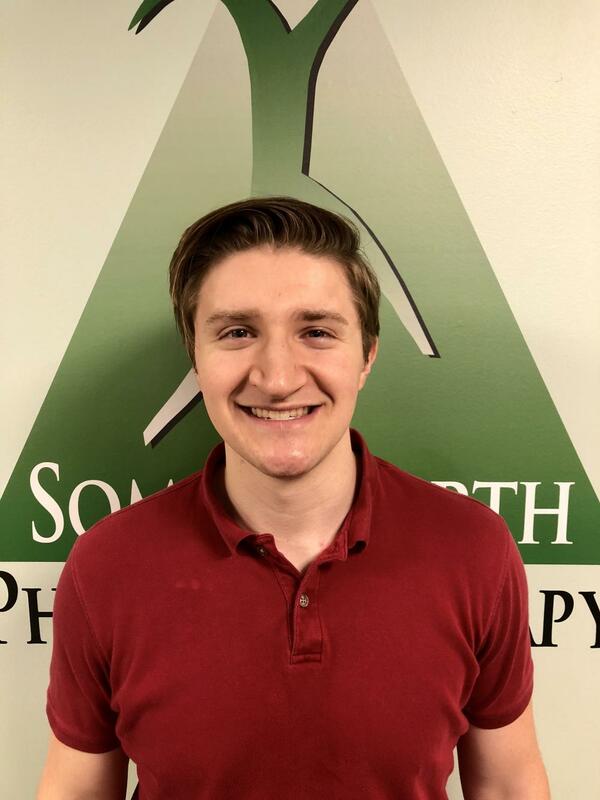 At Somersworth PT Daniel looks forward to utilizing his skills working with patients with spinal dysfunction through mobilization/manipulations (adjustments) and progressive resistive strengthening which targets the individuals’ pathology. Daniel takes a full system approach in the treatment of all patients by including a biomechanical assessment of the feet, lower extremities and at times making foot ware recommendations along with custom foot orthotics if necessary. Daniel is a certified provider of the Graston Technique utilizing patented instruments allowing him to detect and treat scar tissue which prohibits healthy soft tissue mobility. This technique has been found extremely effective in the treatment in both acute and chronic conditions including: neck pain, headaches, lower back pain, hip pain, knee pain, elbow pain (including tennis/golfers elbow), plantar fasciitis and Achilles tendonitis. 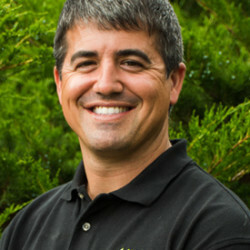 Daniel is one of the leading therapists certified in Dry Needling (DN). DN is a treatment which utilizes small filament needles (acupuncture needles) to deactivate or eliminate trigger points (knots) in muscles which are associated with decreased flexibility and muscle function. This treatment has been highly successful in the treatment of patients with chronic headaches, neck and lower back pain as well as sciatica symptoms. Daniel looks forward to helping all his patients meet their individual recovery goals whether it’s returning to sports, taking a daily walk or just waking up pain free. Daniel is a proud member America Physical Therapy Association (APTA) in both the Private Practice and Orthopedic sections. Daniel resides in Stratham NH with his wife and two young children. Laurel attended Ithaca College in Ithaca, NY where she received her bachelor’s degree in clinical health studies in 2013 and went on to receive her doctorate in physical therapy in 2015. During her time at Ithaca College, Laurel played tennis for IC for four years and continued on as the assistant coach of the men’s and women’s team for two years during her graduate studies. She also studied in Ohio and Connecticut for her clinical education, experiencing a variety of clinical settings and types of patients. After graduating, Laurel began her career as a physical therapist at Brigham and Women’s Hospital in Boston, MA. As part of the acute care inpatient staff, she gained experience in the medicine/general surgery, cardiovascular, and orthopedic services. 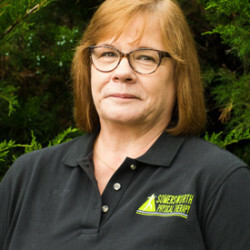 As a part of the Somersworth Physical Therapy team, Laurel is excited to bring the knowledge and experience she has gained. Laurel is currently certified in dry needling and spinal manipulation to further assist patients in reaching their goals and live their life pain free. In her spare time, Laurel enjoys being outdoors, hiking, playing tennis, horseback riding, and watching New England sports teams. Jenn attended the University of Vermont where she received her Bachelor’s degree in Exercise Science in 2014 and continued on to receive her Doctorate in Physical Therapy in 2017. Jenn completed rotations in the Vermont and New Hampshire area focusing on outpatient orthopedic and neurology settings. During her time at UVM, Jenn was a part of multiple research teams primarily focusing on evidence based practice in low back pain patients along with the importance of post professional education in the physical therapy setting. She presented her research at local and national conferences and was published in the Journal of Physical Therapy Education. Due to her focus on research in school, Jenn understands the importance of evidence based practice and incorporates up to date treatments in her sessions. At Somersworth PT, Jenn is excited to use her manual therapy skills and utilize the idea that motion is lotion to her patients. Jenn is currently certified in spine manipulation and dry needling to help her patients have the best and most evidence based treatments. When Jenn isn’t in the clinic, you can find her hiking in the White Mountains, cycling up the seacoast, or laying in her hammock with a pint of Ben and Jerry’s ice cream. Marty attended the University of Scranton in PA where he received a bachelor's degree in exercise science in 2015. He then went on to attend the University of New England where he received his Doctorate of Physical Therapy. Marty completed rotations at outpatient and acute care facilities in Massachusetts, Maine, and Texas, which focused primarily on neurological and orthopedic conditions. While attending UNE Marty was the principal investigator of his research group. His research focused on the effect of unstable weight training on shoulder rotator cuff and scapular stabilizers in athletes. This research was published in the Journal of Strength and Conditioning. Through his work with athletes doing research Marty understands the importance of utilizing a variety of strengthening strategies in order to improve an individual functional level. As a new member of the Somersworth PT team Marty is excited to utilize his hands-on skills and experiences with a variety of diagnoses to improve the quality of life for all his patients. When Marty isn't in the clinic you can find him kayaking, at the gym, or working his way through all of the restaurants in Portland, ME. Lisa is always happy to assist patients with their scheduling needs and insurance questions with her glowing smile. When not in the clinic Lisa enjoys spending time with her family. Her favorite hobbies are reading and gardening with her grandchildren. 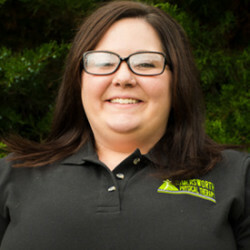 Alisha, our Patient Coordinator is always happy to assist patients with their scheduling needs or insurance questions. When not in the clinic Alisha enjoys spending time with her family and friends. Her hobbies include reading, cake decorating, and skiing.